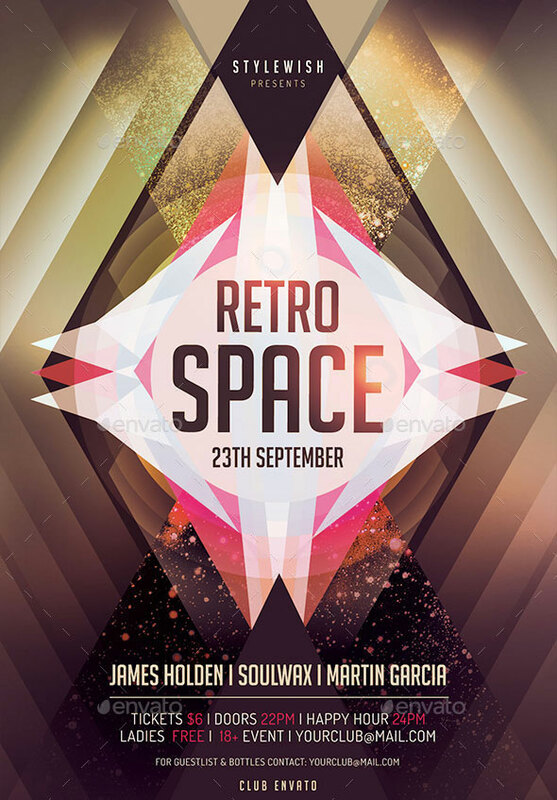 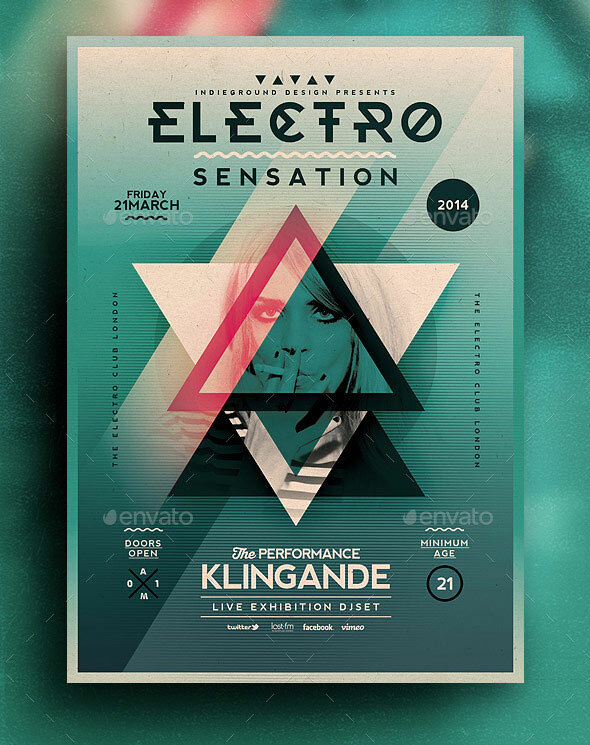 Geometric shapes can be strong, bold and striking design elements, so naturally they work fantastically in the world of flyer. 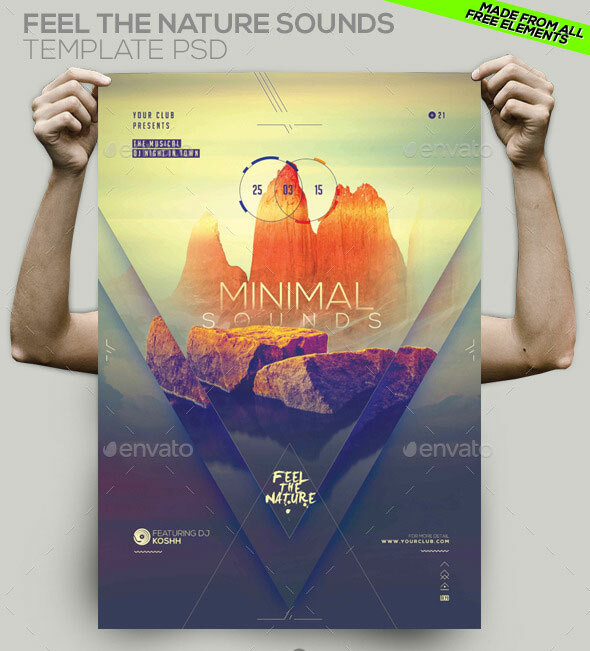 So in this post i collected 20 modern and unique PSD geometric flyers design templates for your next project. 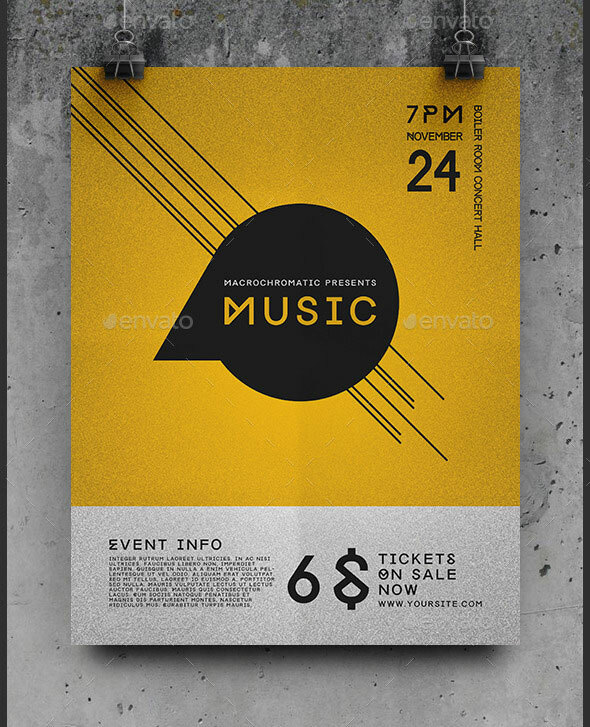 It features a contemporary minimalistic design with a faded color scheme, somewhat retro futuristic. 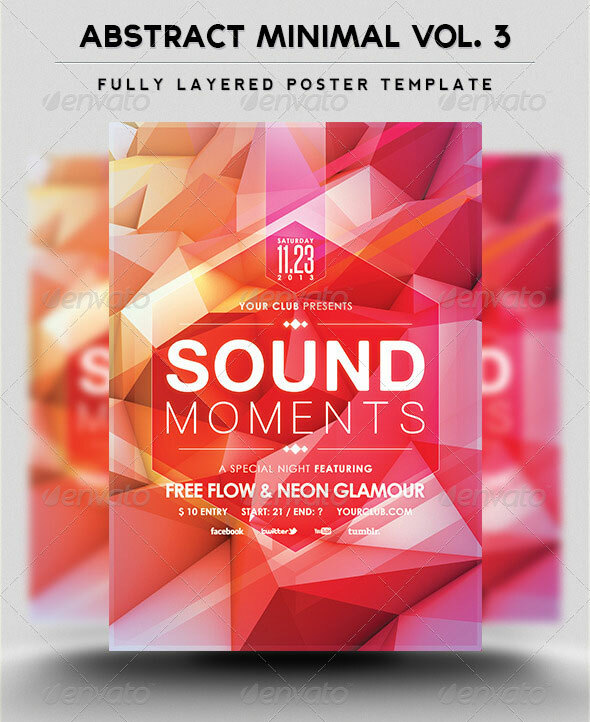 The color is very easy to change, with just a few clicks and there are instructions on how to do that in the included help file. 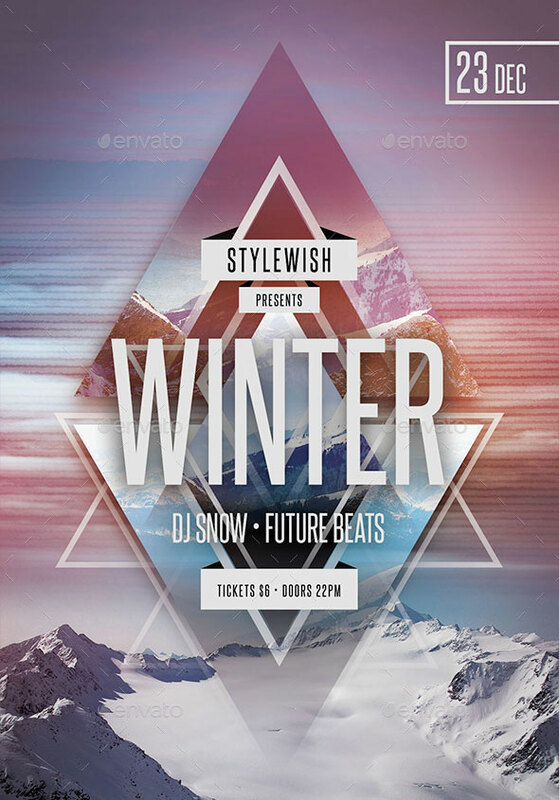 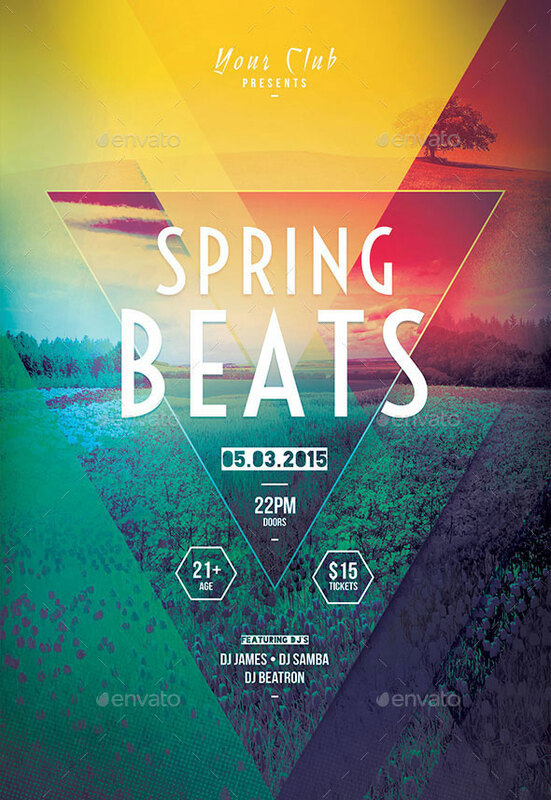 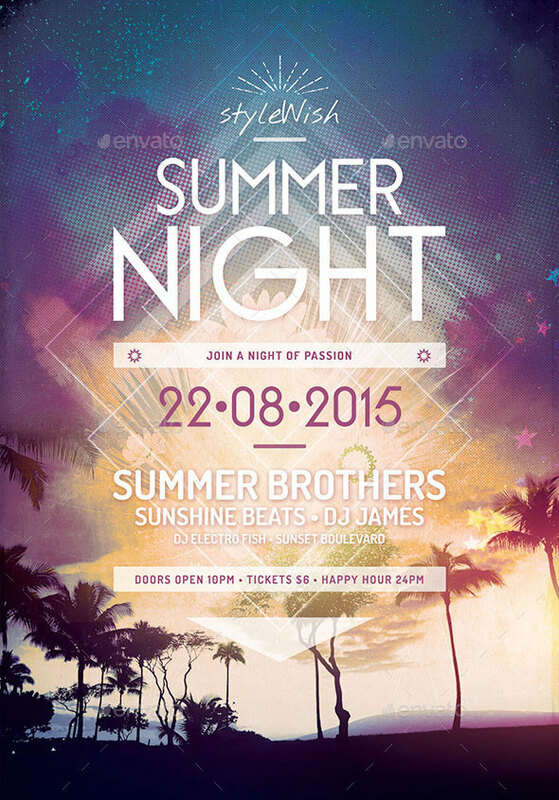 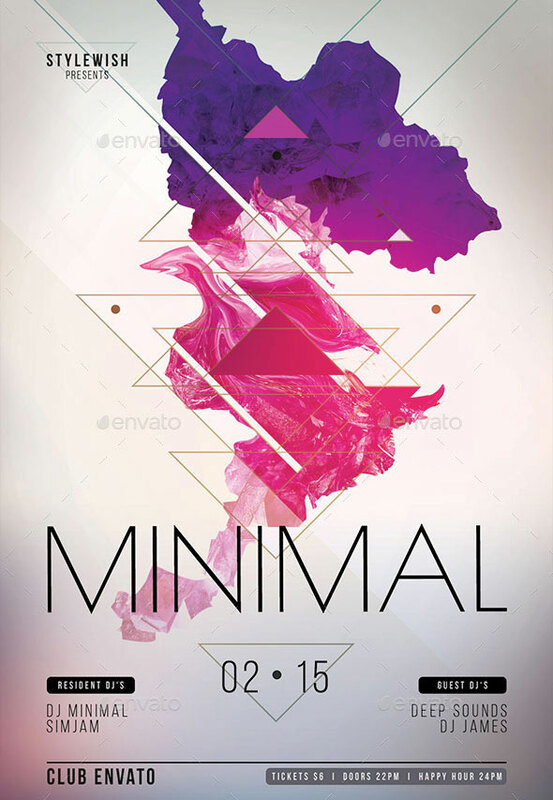 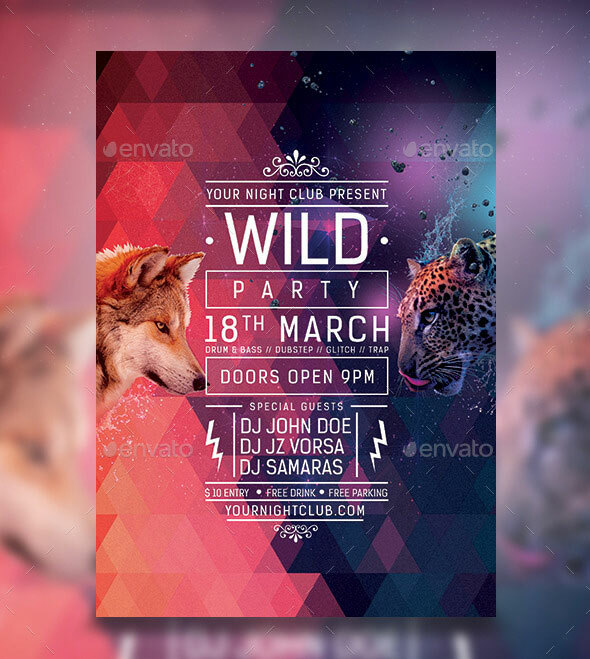 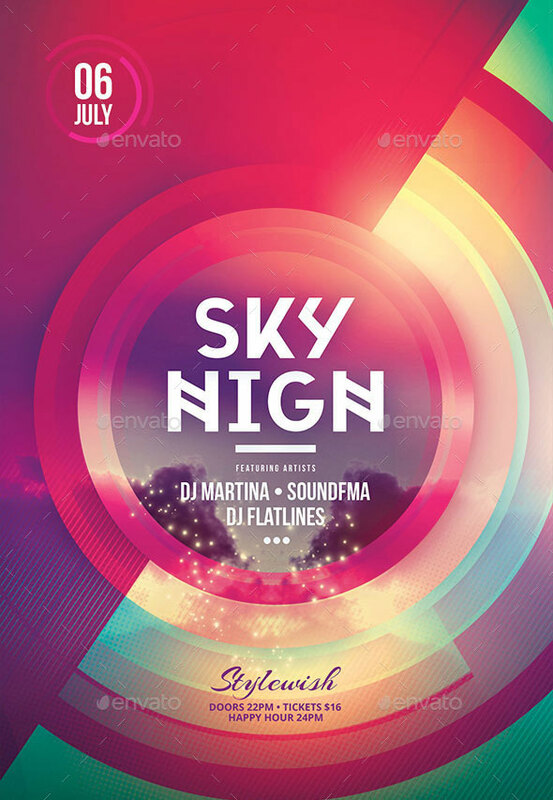 The flyer template comes as a psd file with a size of A4 ( 210 × 297 mm or 8.27 × 11.69 inch) with 3mm bleed. 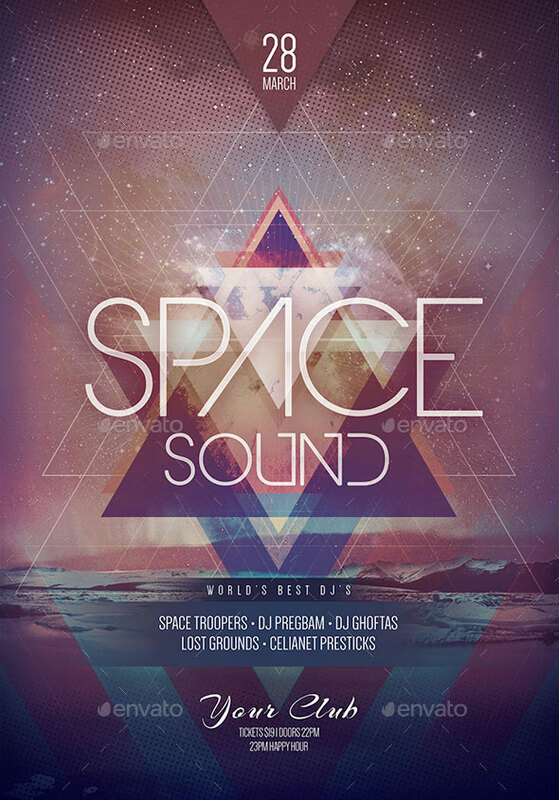 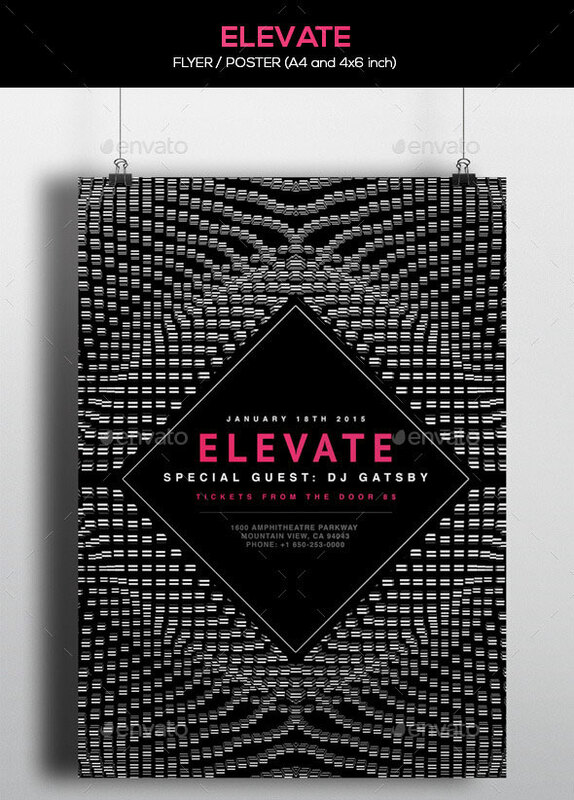 This flyer / poster can be used to promote a futuristic party or an electronic music event or a one night stand club party. 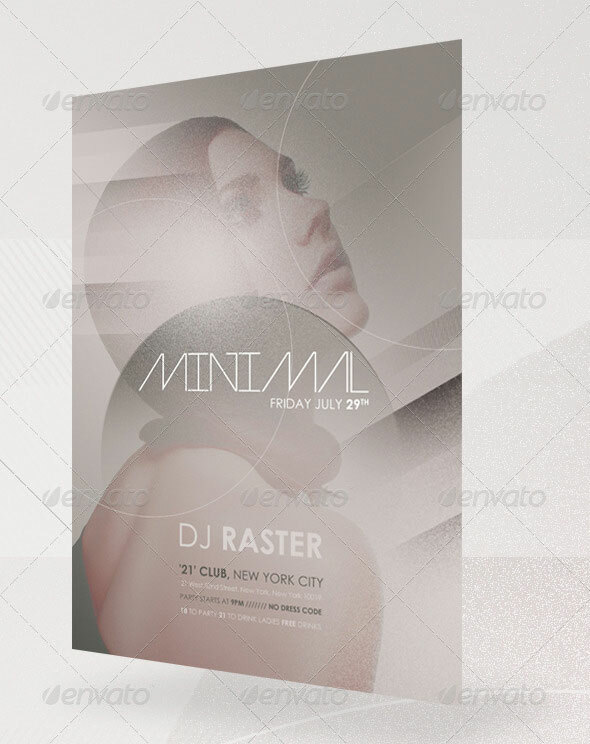 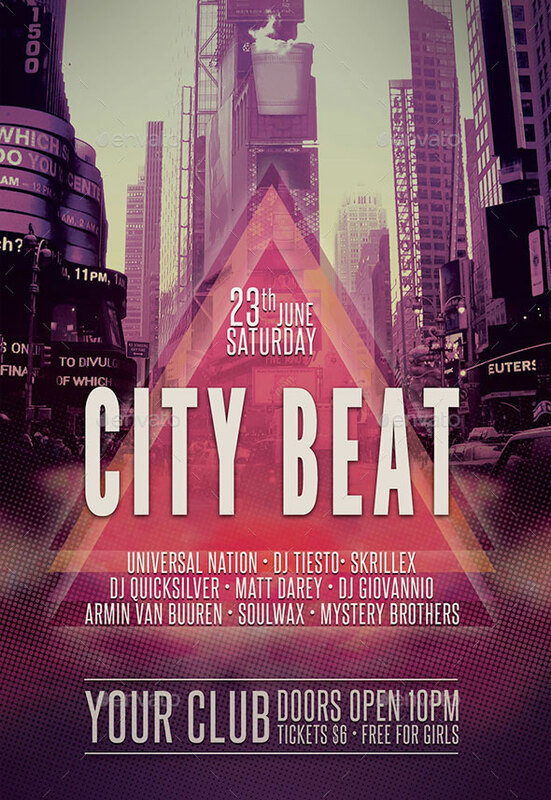 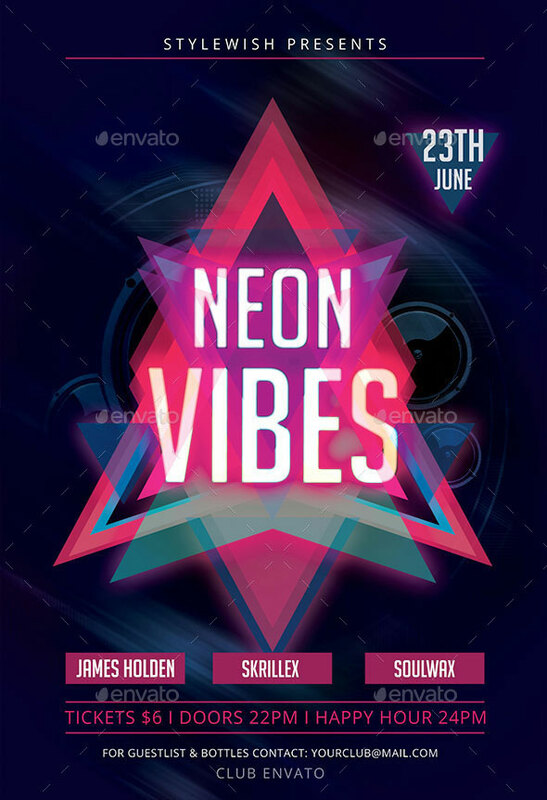 This psd template is suitable for a dj event or for a dubstep, electro, drum & bass, techno, minimal and progressive house music flyer. 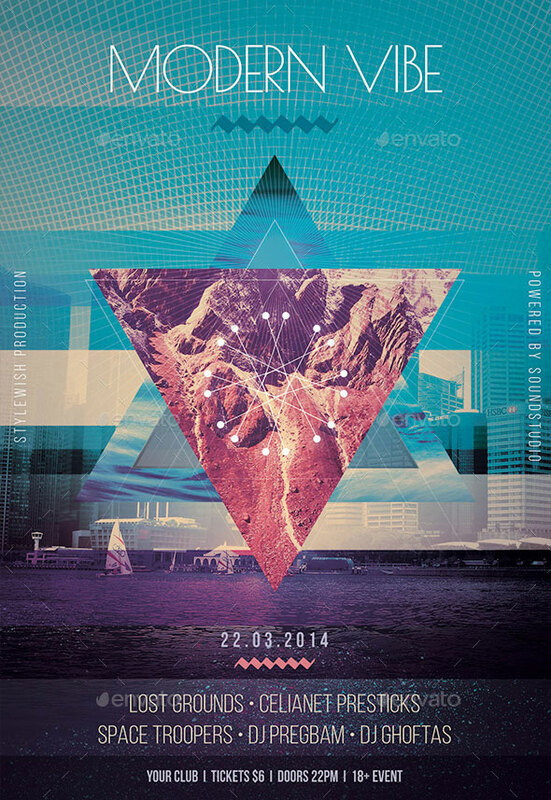 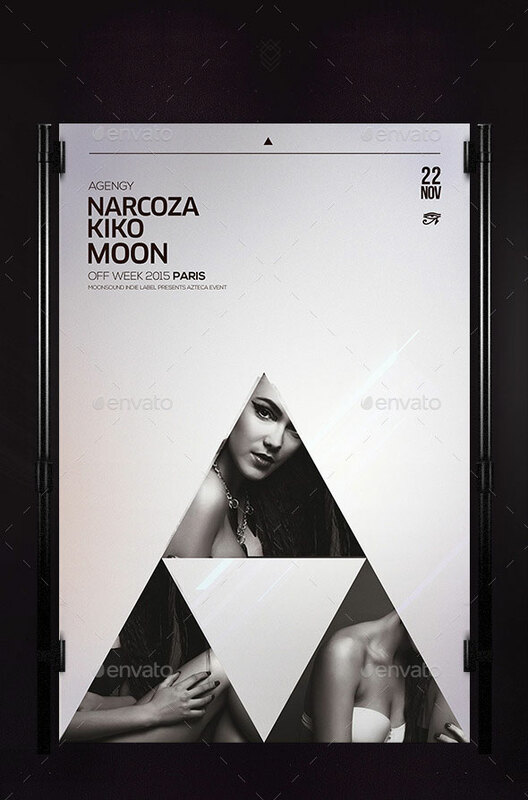 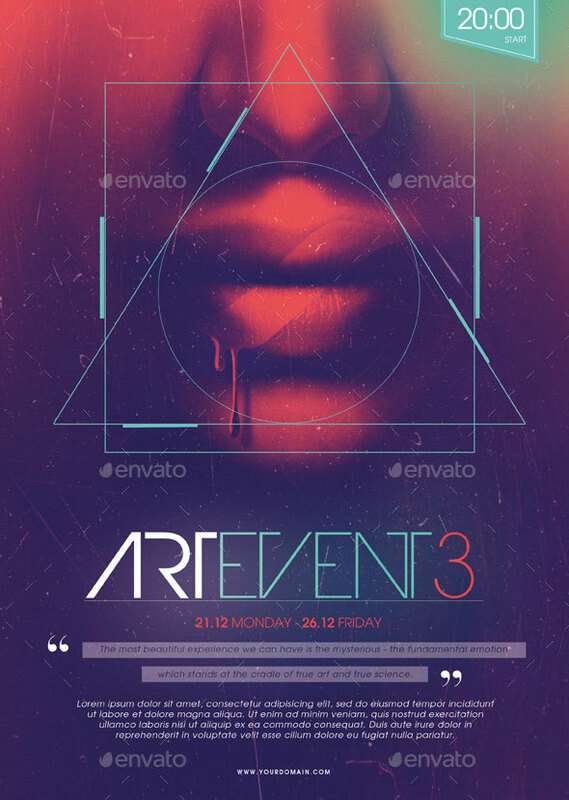 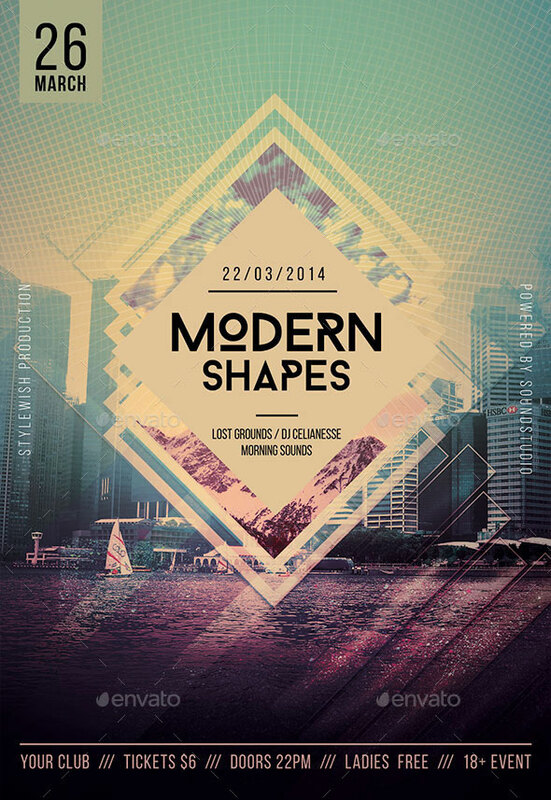 It’s a futuristic flyer design combining geometric elements with model portraits.